Paul Taberham is Senior Lecturer in Animation Studies at the Arts University Bournemouth. He is the coeditor of Cognitive Media Theory (2014) and The New Experimental Animation: From Analogue to Digital (2018). Paul has appeared on radio, spoken internationally at conferences, and published articles for several edited collections and journals including Projections: The Journal for Movies and Mind and Animation Journal. He is a fellow of The Society for Cognitive Studies of the Moving Image. 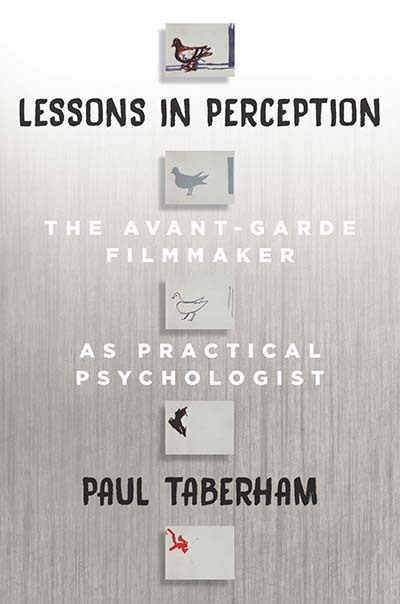 Lessons in Perception by Paul Taberham is available open access under a Creative Commons Attribution-NonCommercial-NoDerivatives 4.0 International License (CC BY-NC-ND 4.0) with support from Knowledge Unlatched.